Notes: Baltimore Infirmary of Medical University enlarged by a building on the East. 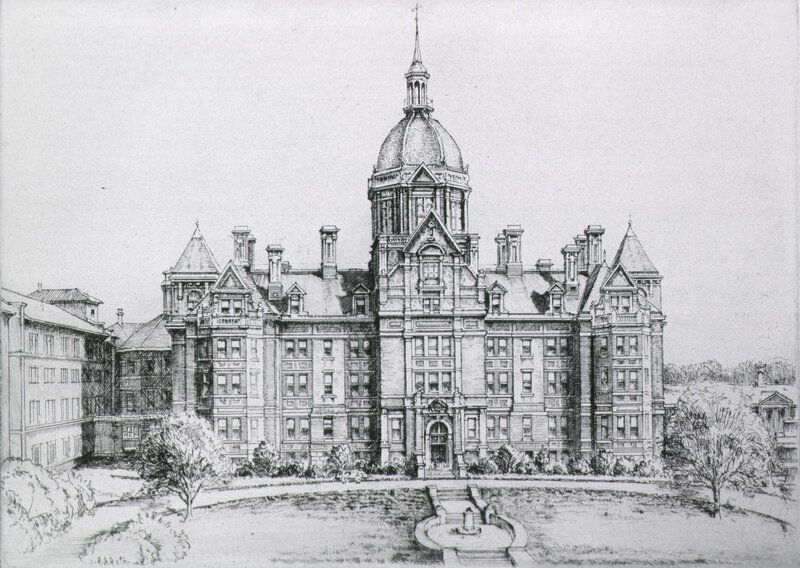 Corner of Lombard and Green Streets.This institution, so long and so favorably known by our citizens, having been greatly enlarged and improved, is now prepared to receive and accommodate both medical and surgical cases.Private accommodations of a superior character can be furnished to those who require them; and each story is supplied with hot and cold baths. The sick are attened to by the Professors of the University of Maryland, and nursed by the Sisters of Charity; and there is a resident Physician at all times in the house. For the public ward $3 per week. For private rooms from 5 to $10 per week.